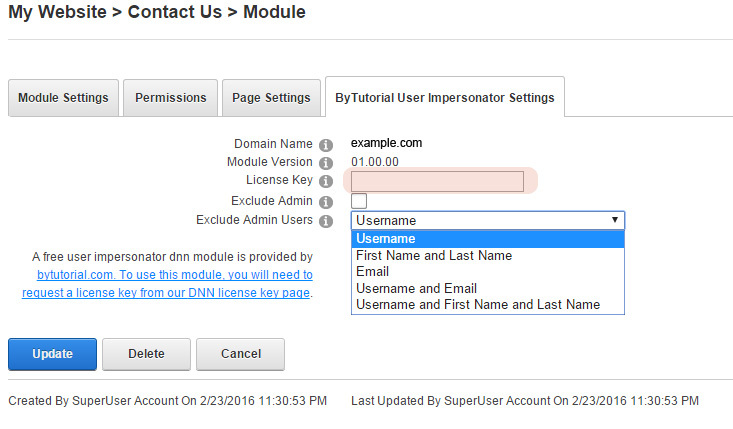 If you need to access as other users in your DNN site, you can easily do this by installing the User Impersonator module provided by bytutorial.com. It is completely free to use for personal and commercial use and very easy to use. You do not have to know other user login details and you can impersonate their account. 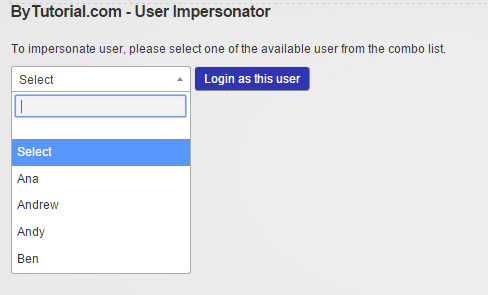 How to install the User Impersonator DNN plugin? What is the Minimum DNN Requirement to install User Impersonator DNN Module? Once you have obtained the license key, you can enter the license key details in the module settings. Remember, as this module is intended for administration use only. When you install this module into a page, make sure the page is protected and can be accessed by Admin only.